The Rebel Sweetheart. : Join | D-Nee Giveaway from Green Eggs and Moms! Just recently, Anne of Green Eggs and Moms made a great discovery. 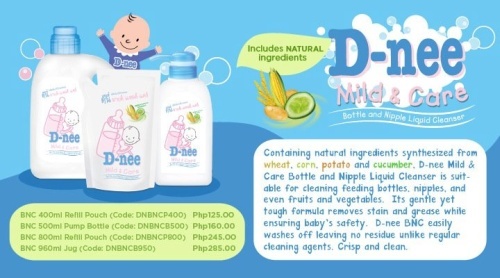 She found D-Nee, a brand of liquid cleanser and liquid detergent specially made for babies. Containing natural ingredients synthesized from wheat, corn, potato, and cucumber, D-Nee's formulation and fragrance have been tested by certified laboratories and are guaranteed safe and hypoallergenic. D-Nee is currently very popular in Thailand, and has a wide range of infant and toddler care products. At present, only the liquid cleanser and liquid detergent are available in the country. Other baby products such as the shampoo, body wash, and powder are expected to hit local shores soon.